Here we have a Rolex Explorer 1655 Steve McQueen For Sale with orange hand. 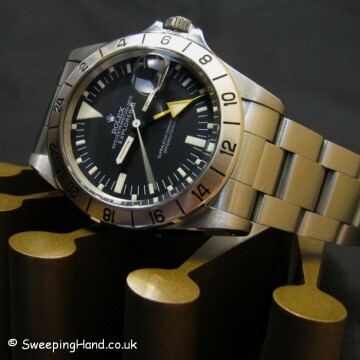 One of my favourite all time watches is the Rolex 1655 Steve McQueen Orange Hand and this one is about as good as they ever get! 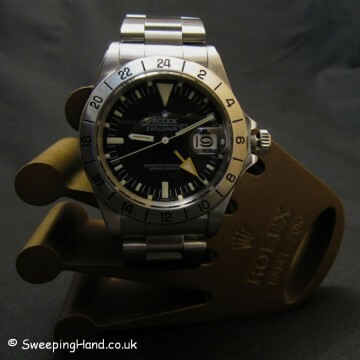 A very rare early mark 1 Rolex Explorer II with straight second hand that is perfect in every way. 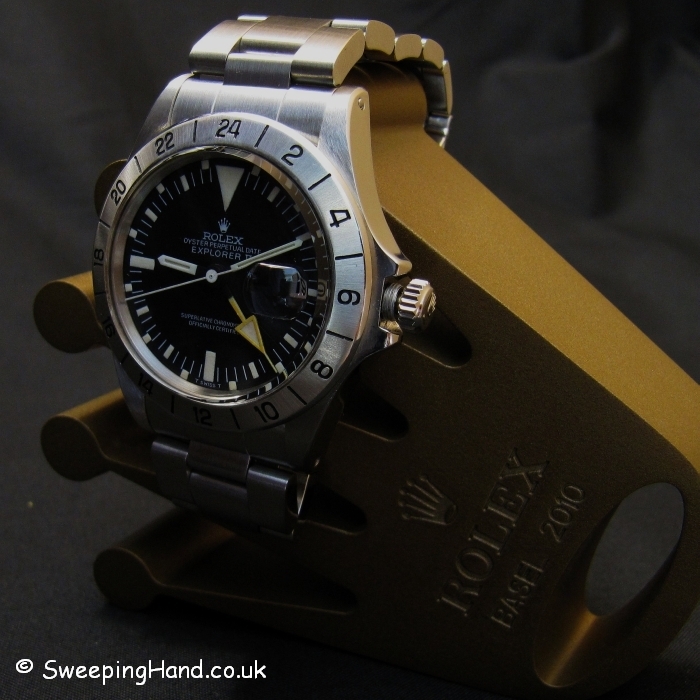 Amazing Explorer dial & matching hands, perfect mk1 fixed bezel and a stunning case. 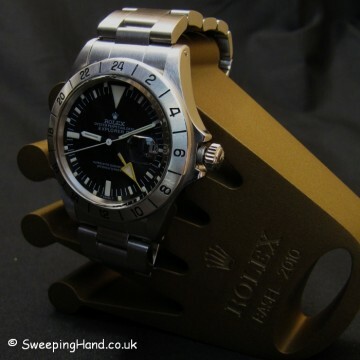 Never worn since serviced by Rolex UK this watch is so good it looks like it could have been produced yesterday. Its just a shame Rolex don’t make them like this anymore. It remains a mystery as to why it became nicknamed the “Steve McQueen” as he is never pictured wearing one, instead appearing to wear his Rolex 5512 throughout his life. 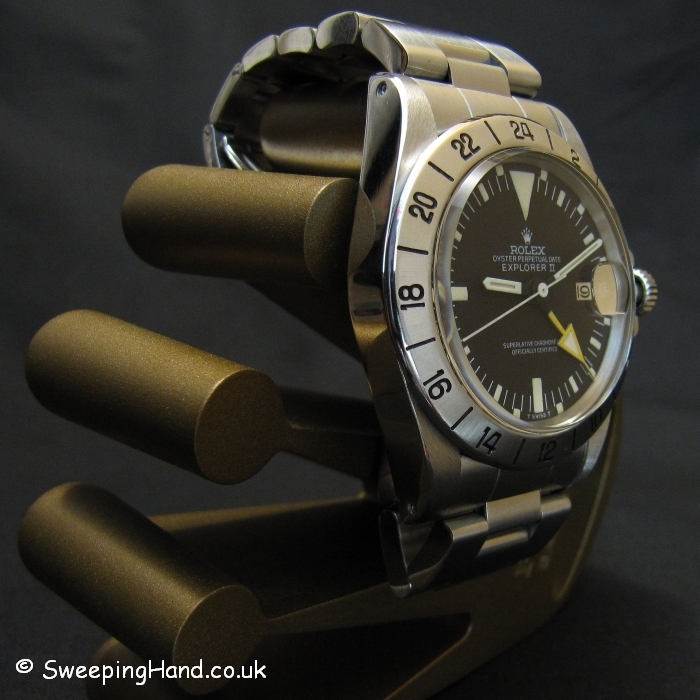 Dial & Hands: Beautiful unmarked Rolex 1655 dial with perfect matching creamy tritium hands and pale orange 24 hour hand. 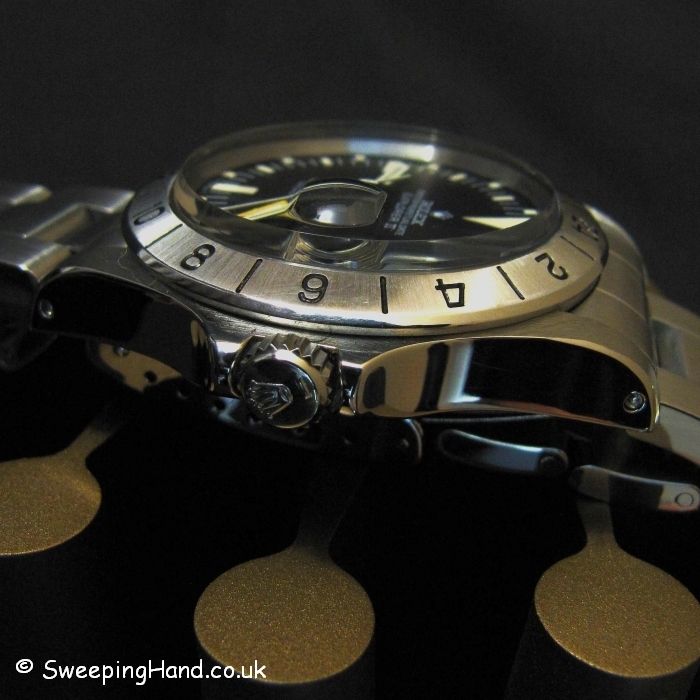 Case & Caseback: 3.8m serial with all numbers clearly readable between the lugs. Thick case that is correctly stamped ii72 and 1655 inside the caseback. Perfect mk1 bezel. Bracelet: The watch is wearing a mint Rolex 78360 oyster bracelet with correct Rolex 580 end pieces. 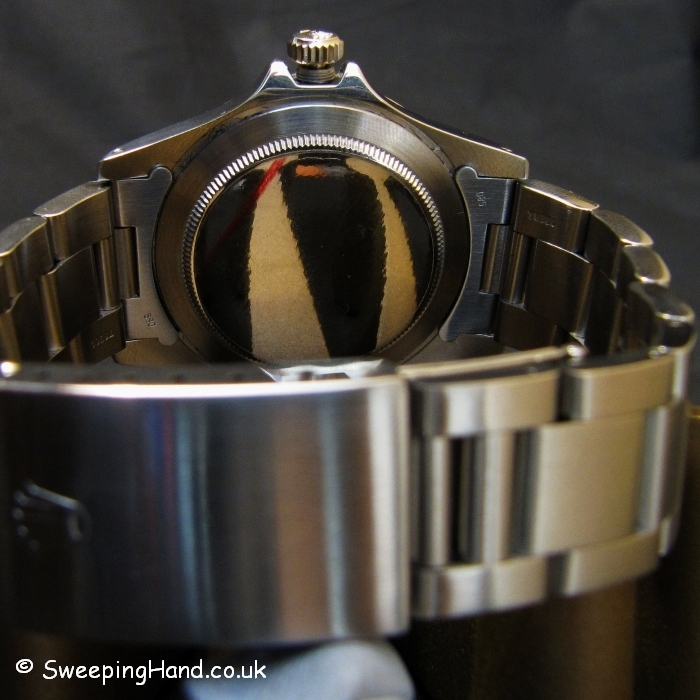 Movement: Original Rolex serviced 1575 date movement in excellent condition. Box & Papers: This watch was given a full mechanical service by Rolex UK and comes with the service warranty certificate and original rare Seahorse box with original Rolex 1655 sticker. I hope this message will find you well. 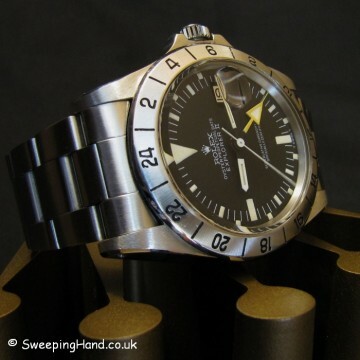 I am writing to inquire if Rolex Explorer 1655 – Steve McQueen Orange Hand is still available for sale. If so, can you tell me what your best price for it. Does it come with the original warranty? Thank you for your attention and I look forward to hearing from you soon.